Using flow On-site, you can plan yard-internal transports in an efficient and transparent way. Shunting orders can be managed from the control center. 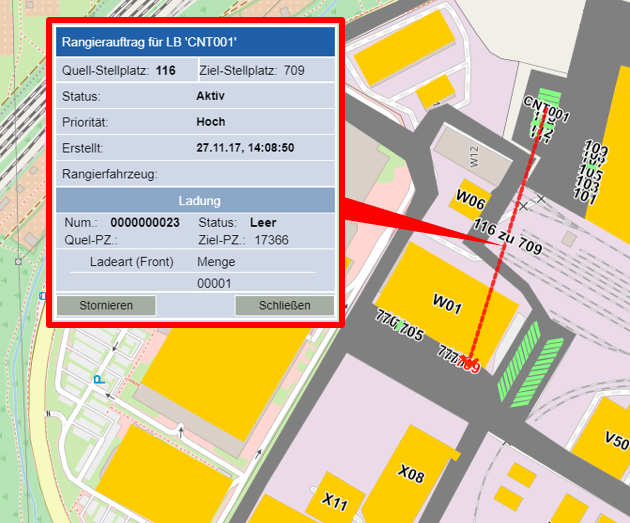 Our web-based module Yard View creates a dynamic view of the yard infrastructure on the basis of real geodata. Status of available parking spaces and loading bays are displayed in real-time. Creation of shunting orders is done via drag’n’drop in the Yard View. Alternatively, automated processes (e.g. “end of loading”) may also trigger a new shunting order. Based on a configurable and location-specific set of optimization rules, flow On-site assigns shunting orders to the best suitable shunting vehicle and calculates the optimal route. Transport orders are sent in real-time to mobile devices inside the vehicles. 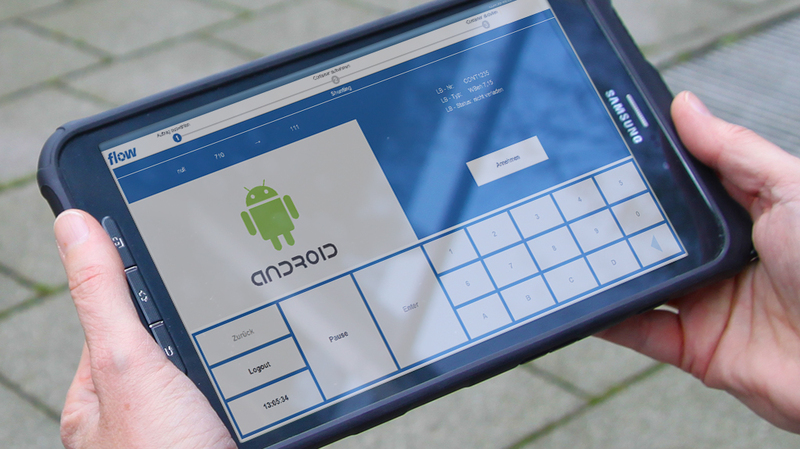 The flow shunting terminal App allows the drivers to acknowledge accepting and processing the transport order with one click.